Abstract: The HP LaserJet 2420dn is a monochrome laser printer with a maximum resolution of 1200x1200DPI. This is a thoughtful feature, as it means the paper tray always sits flush with the front of the printer regardless of the paper size being used. The hinged back panel has a tab at the top which can be used to pull it out to provide access in case of paper jams. 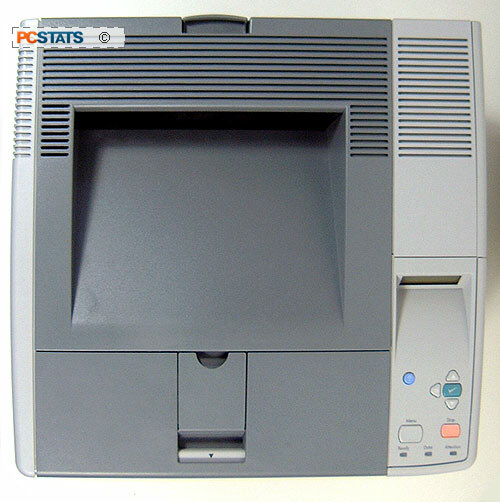 The top of the HP LaserJet 2420dn holds the paper out feed, the menu controls and LCD and access to the toner cartridges and drum. The 7 menu control buttons are pretty self-evident in function and comprise a help button, navigation buttons, a 'select' button, a 'stop' button which will also halt print jobs and a 'menu' button to open the interface. All menu items are displayed on the backlit LCD. Pressing down on the grey plastic tab with the arrow gives you access to the toner cartridge. 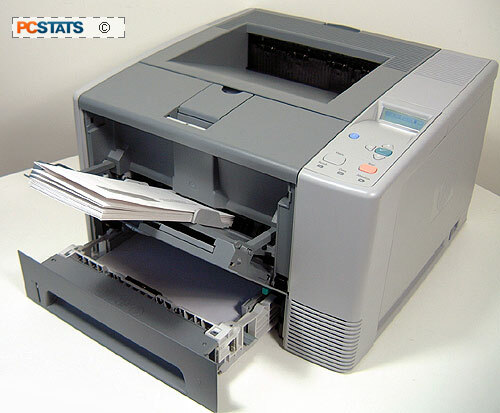 Removing the toner gives you further access to the innards of the printer for clearing paper jams and replacing other components.